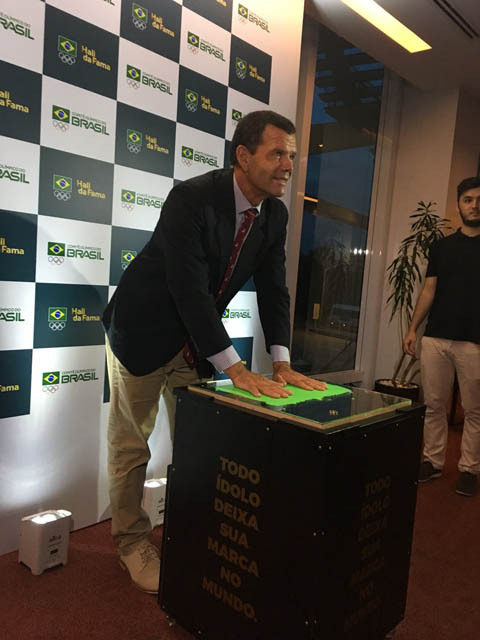 The Grael family name has long been synonymous with success in the sailing world – nowhere more so than in their native Brazil. And at recent sporting ceremonies in their home country, Race icons Torben and Martine - father and daughter - were awarded prizes to honour their achievements in the sport. 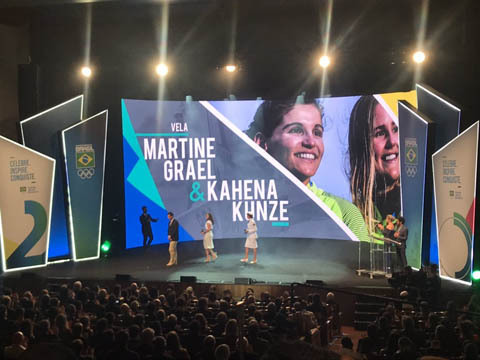 Torben Grael was elected to Brazil sport’s Hall of Fame in Rio de Janeiro just before Christmas, while Martine was awarded the best of sailing 2018 prize at the Prêmio Brasil Olímpico – Brazil’s sporting Oscars – with her Olympic partner Kahena Kunze, due to their results in the 49erFX, confirmation for Tokyo 2020 and Martine’s efforts in the last edition of the Race. 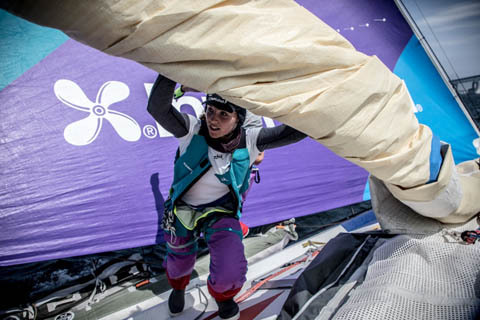 Last edition saw Olympic champion Martine follow in the footsteps of her father Torben – a five-time Olympic medallist and winning skipper of the Race in 2008-09 – by joining the Race as a key member of team AkzoNobel. 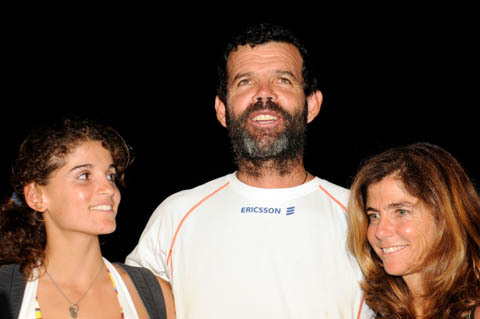 Torben watched from shore as his daughter set off for a round-the-world adventure of her own, and, as the Dutch-flagged boat raced the transatlantic leg from Newport to Cardiff, even saw his decade-old 24-hour speed record broken by Martine and her crewmates. As AkzoNobel racked up a huge 602 miles in just one day in their VO65 boat, the whole sailing world took notice – and with the news that the next edition will see IMOCA boats battling for the trophy, there is potential for even bigger speeds. At IMOCA’s general summit, held in Paris, France towards the end of 2018, representatives from the class and the Ocean Race approved the race guidelines, which will see the IMOCA class race for the Ocean Race trophy, and one-design racing in the VO65 which delivered such an intense and thrilling edition in 2017-18. Since the end of the race, Martine has been focusing on her 49erFX Olympic campaign – as she bids to defend her 2016 Olympic gold medal with 49erFX partner Kahena Kunze at Tokyo 2020. “In the last edition, the boats were pushed to the limit – and in 2021 there will be less crew on board the IMOCAs with faster racing. It will be even more extreme than ever before. The boat has a very big appeal,” she explained. While neither Torben nor Martine have given an indication of their plans for the next race, with this family pedigree, don’t be surprised to see one, if not both, become involved.